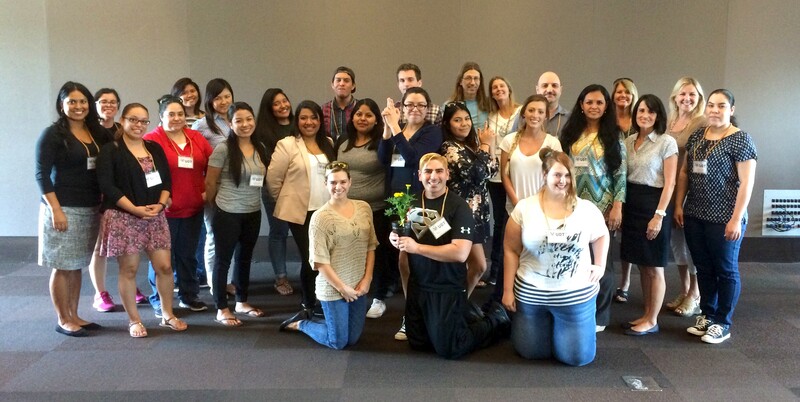 Last week marked the end of the 4th Preparing Tomorrow’s Teachers Today Through Technology Summer Camp. Over 20 community college students attended the Spy themed Technology camp over the three days. 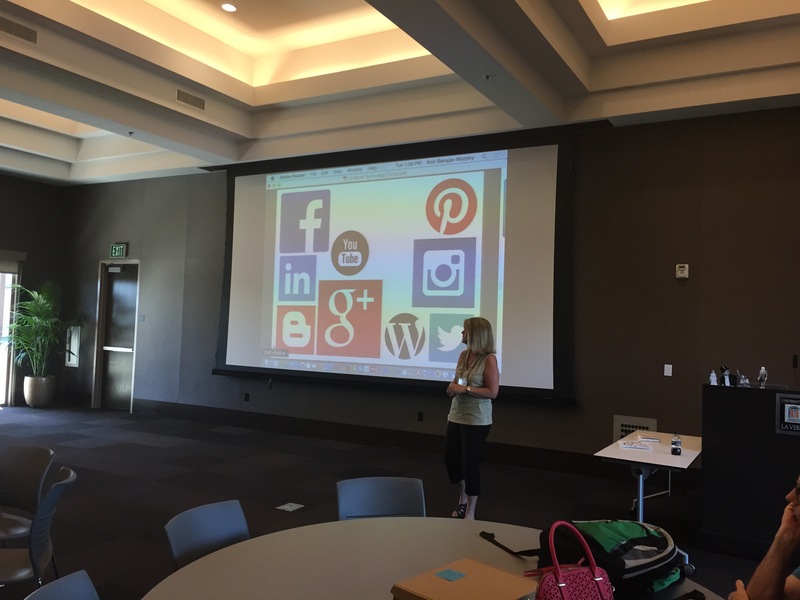 Each had access to an iPad as they participated in the hands-on sessions that were designed to give future educators an overview of helpful educational technologies. Some background- La Verne’s Title V Part A Cooperative grant teams us up once again with our neighbor (and friend) Citrus Community College. This grant has the overarching goal of increasing the number of underrepresented students who enter the field of education. Specifically, this grant supports the integration and modeling of learning technologies in college courses to produce more technically proficient educators. Activities include intensive faculty training and a newly developed instructional design services. Over the last four years, more than 25 students have transferred from community college to La Verne’s Educational Studies program. There are some significant things about this. By taking general education courses at community college rates before transferring to a private Liberal Arts college reduces student loan considerably. Additionally, for first generation college students, this transition allows time for greater readiness to succeed at a 4-year college. But onto the camp game. 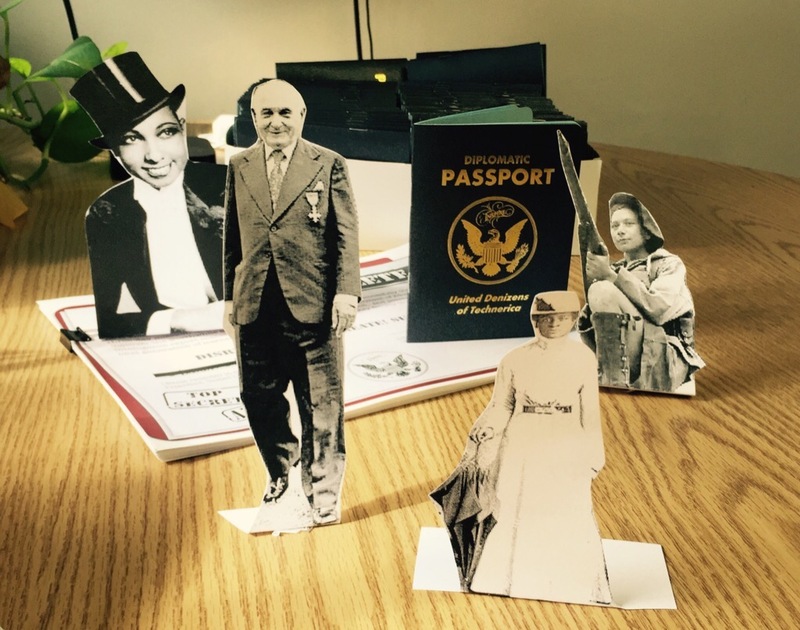 Borrowing on the New Media Consortium Conference game this summer, instructional designer (and cartoonist) Sarah Barnes researched obscure and diverse spies from the past. She was delighted to find a whole world of badass woman and men who used their grit and wit to gather intel from the enemy. 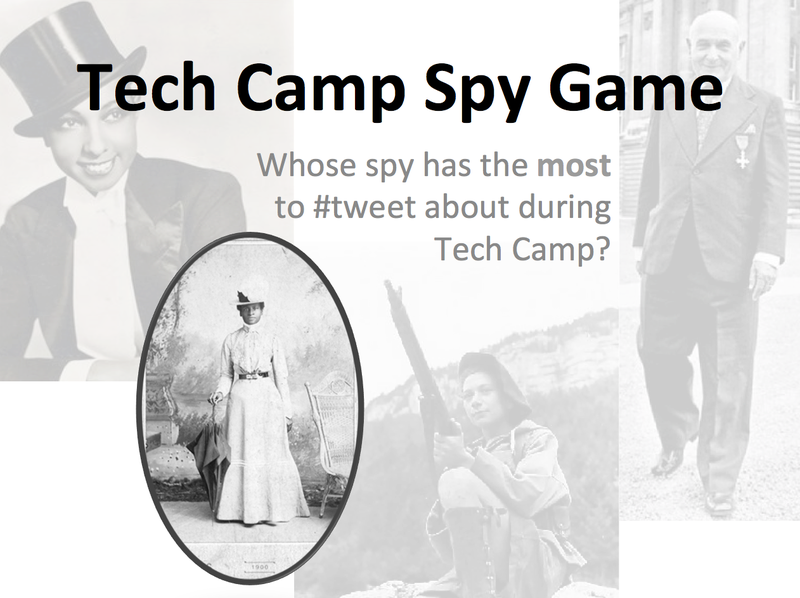 From this panoply of personalities, we chose four spies for our summer camp Twitter game. The purpose of the game was to introduce Twitter as a way to create a conversation using a hashtag. Additionally, the game was intended to give camp participants a way to get to know one another while sharing thoughts about what they were learning. All but 2 of the players were new to Twitter as a social network. The rules of the game were simple; tweet about the camp using the #pt5spy hashtag. Tweets could include a picture of your spy, could be related to what was taking place at the camp or could be related to your spy. The winner would be the tweeter with the most #pt5spy tweets during the event. Using a leaderboard from Rise.Global similar to the one used at NMC was intended to organize the Twitter game. Despite two different practice leaderboards that seemed to work, the one developed for the Spy Camp was a total fail. The interface for setting up a leaderboard allowed me to pull tweets with the game hashtag. When we tested the leaderboard in the weeks leading up to the camp, tweeting with the hashtag indeed added one as a player on the leaderboard. Leaderboards, however, expire after a week (or so it seems). In the hopes of working around this and any other possible difficulties, I paid for a month of premium service. Despite this intended preparation, I was still unclear about how the system worked and the Help/FAQ provided was either incomplete or so technical that both were useless. Once the event began and things went sideways- even my persistence (and stubbornness) garnered no solution. Eventually, I created a spreadsheet of all the players and recorded each one’s tweets prior to beginning the game. Using a formula to keep the tally correct, I used the spreadsheet twice a day to update the scores. Clunky but it worked. Lesson learned: someone could really create a useful app if it could easily calculate the number of times a tweeter uses a specific hashtag and report it in descending order. Despite the technical breakdown, the ultimate aim- to provide an engaging experience with social media- was successful. The variety and unity of the three days of tweeting created a shared reference point for a group of disparate students interested in transferring from local community colleges to the University of La Verne. This entry was posted in La Verne, PT5 Title V on September 25, 2015 by nononi. Instructional Design; What it is. What it isn’t.